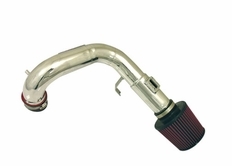 2005-2007 Chevy Cobalt SS Supercharged 2.0 Injen Cold Air Intake5Douglas RauschMarch 2, 2015I have been shopping around for a Injen cai for my 2005 Chevy Cobalt SS/SC 2.0L for a while now. What I loved about New Level was all of the options that they gave you & their detailed discription of what each option would do. I'm new to after market upgrades so I had no idea that there were 2 different types of filters. I also loved the Hydro shield option. My OEM intake filter is inside a box & completely protected by the elements so by switching to a open air Injen intake you take the risk of water getting into your engine which has been something that always worried me about this type of upgrade. I live in Ohio where it snows a lot in the winter & rains a fair amount in the summer months so by New Level having & offering the Hydro shield as a package deal at check out along with my choice of filter made shopping with them a no brainer. I love my new Injen CAI. I was afraid that it would throw a cel but so far no lights have come on in the 2 weeks that I've had it on & it makes my SUPERCHARGER SCREAM!!!! I love the sound that comes out of my new cai thanks New Level I will shop with you guys again! 2005-2007 Chevy Cobalt SS Supercharged 2.0 Injen Cold Air Intake5ChrisMarch 23, 2012Intake was fairly easy to install fits and looks great and supercharger now makes a great whine. 2005-2007 Chevy Cobalt SS Supercharged 2.0 Injen Cold Air Intake5yellow ssApril 29, 2010the supercharger sounds sick after i put this one. People ask if I put in a bigger supercharger all the time. It is definately faster. 2005-2007 Chevy Cobalt SS Supercharged 2.0 Injen Cold Air Intake5LisaApril 2, 2010This took my brother and I a little over an hour to put in. We did not take off the bumper like the instructions said. We took off the front tire and pulled back the inner fender to put the filter on the lower section of the intake pipe. I think doing it that way is easier and maybe Injen should update their instructions. Their instructions are really good though and have lots of information. When you rev the car up now the supercharger sounds really nice and you can tell that the car has been souped up. 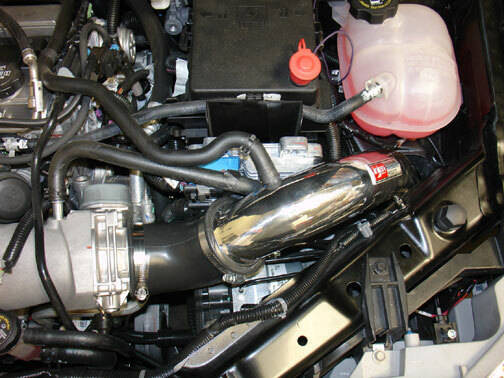 2005-2007 Chevy Cobalt SS Supercharged 2.0 Injen Cold Air Intake5jonJuly 17, 2009very good item. sounds great! The part number for this item is SP7026P or SP7026BLK (depending on your color choice) and it fits 2005-2007 Chevy Cobalt SS Supercharged 2.0 models.